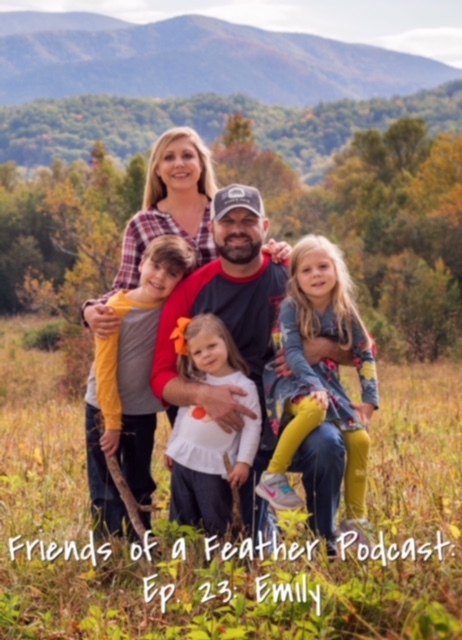 Today on the Friends of a Feather podcast, I want to share with you the story of my friend, Emily. Emily is wife to Zach (who she met when she was six years old!) 👦🏻👧🏼and mom to three children ages, 8, 6, and 3. Emily is a blogger👩🏼‍💻, a professional photographer📷, and a painter 🎨among many other things that keep this mom busy! What I love about Emily is her warm, southern charm, her willingness to share a really hard time that changed the trajectory of her life, and her heart for revival in her town. We chat about a practical way she dealt with grief as a teenager. And, about a precious moment that Jesus gave her when she woke up at 3 am the morning we recorded this episode! She also shares her fav breakfast snack that I bought after we recorded because it sounded so good!! Link in profile or you can search in iTunes or Stitcher! 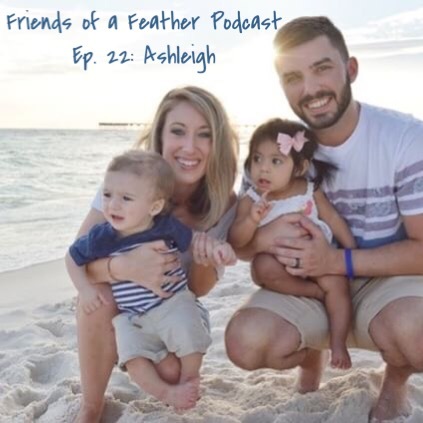 Today on the Friends of a Feather podcast, I want to share with you the story of my friend, Ashleigh. Ashleigh is wife to Brett and mom to two sweet babies, born eight weeks apart!! 👫👧🏽👦🏻. She has a heart for women and speaks life into them through her ministry, @Flourish_inc. You will be encouraged and uplifted by hearing Ashleigh's story.🙌🏻Remember, we are all friends of a feather! Be encouraged and share with a friend!! 🙋🏼🎙💗Link in profile or you can search in iTunes or Stitcher!